Top stitch the front opening facing down BEFORE sewing the side seams, because it is much easier when it can all be kept flat. But I didn’t. And I ended up with a very disappointing line of stitching. I thought about undoing the top stitching, but it was going to risk messing up the polar fleece. Overall, polar fleece is VERY easy to sew with, but removing stitches almost always pulls at the fluffy parts and leaves it looking ragged. With the issue being right on the front of the shirt, I wanted to avoid that. So, I set the project aside for a while and did some intermittent, low-key brainstorming. Then, one day, I thought of using another piece of polar fleece to make a patch. It wasn’t until I actually sat down an contemplated exactly how to cut that it occurred to me to just use one of the shapes in the design. 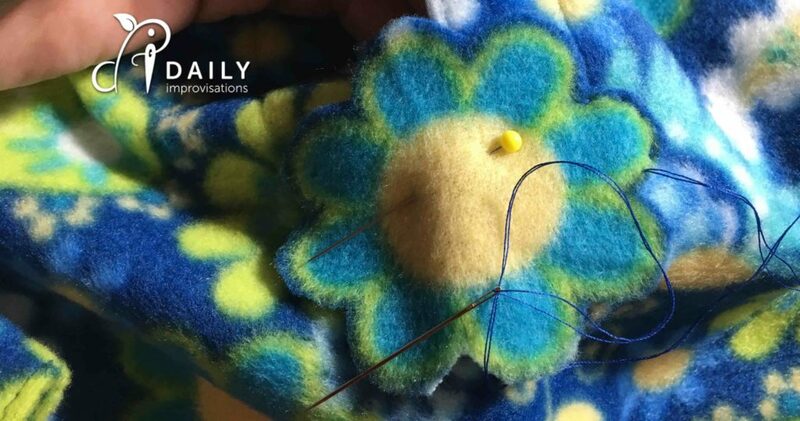 With this in mind, I positioned my flower-shaped patch part way up the opening slit, but decided that I would be careful about how much I attached it. It is very helpful that polar fleece doesn’t need any hemming or edge finishing. 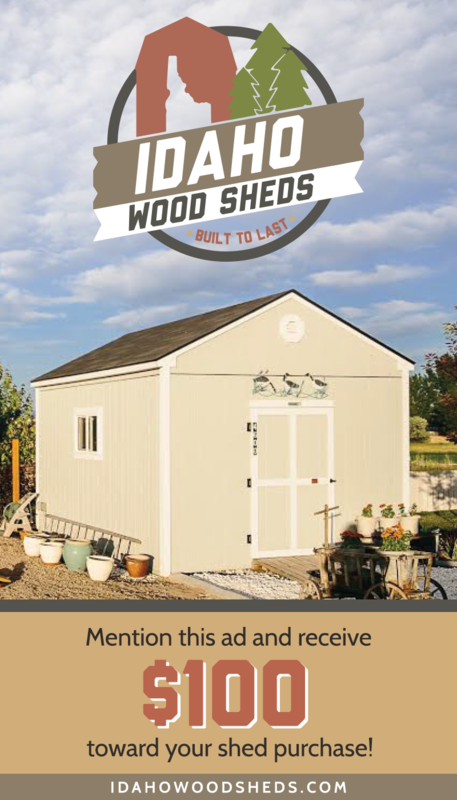 In the video, you can get a good look and verbal explanation of the process. I pull the opening open some to see where I wanted to end the sewing for the main patch. I hand sewed the outer edge of the first layer of the patch with a double stranded thread using a running stitch. I positioned the second layer of the patch over the first and hand stitched a center portion of it. Voila! I had a wonderful 3-D patch that made the tunic look better than it would have with a plain front. The first layer of my 3-D polar fleece patch. Could I do it with a different design? When I realized how cute it was, I knew I might be creating trouble giving my twin granddaughters one tunic with a flower and one without. However, the other tunic had a more abstract snowflake pattern on it. I have seen fabric flowers made before, but mostly with fabrics that fray. Now I can see myself adding 3-D polar fleece designs to everything from ponchos to purses. I think it might even work to make a faux baby quilt that way. 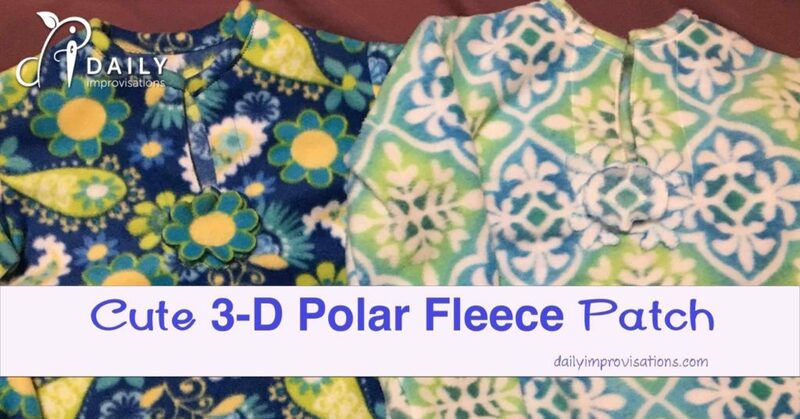 Just sew a bunch of the shapes onto a piece of polar fleece and it would be a wonder of 3-D warmth. 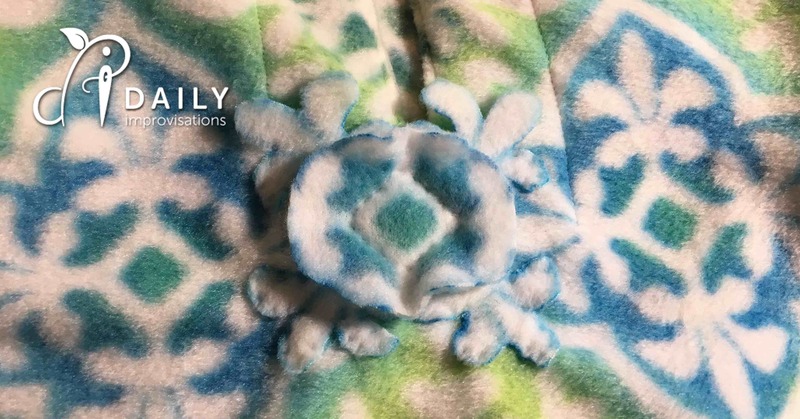 What can you think of to put a 3-D polar fleece patch on?